Caspio has recently announced it is now offering HIPAA Compliant Professional Services for App Development, following on from the success of its popular HIPAA Enterprise Platform as a service. Caspio is a leading cloud platform provider and offers its platform-as-a-service to businesses and organizations in the public and private sector, allowing them to develop powerful web and mobile applications to improve efficiency, usability and integration between colleagues and customers. Its cloud platform has been adopted by hundreds of businesses including some of the biggest names in retail, insurance, manufacturing, logistics and online media, as well as by numerous non-profit organizations, educational establishments and government agencies. The company’s platform allows web and mobile applications to be created quickly that can streamline administrative processes, provide a greater level of automation and secure data management. Applications can be developed to track inventory, schedule resources, log registrations and training, create online customer portals, automate billing processes and for knowledge and document management. Under the Privacy and Security Rules of the Health Insurance Portability and Accountability Act, all healthcare providers, health plans, their business associates and other covered-entities, must implement the appropriate administrative, physical and technical safeguards to ensure the health information of patients is properly protected. Healthcare providers looking to take advantage of the opportunities provided by the cloud must ensure the provider of the service also complies with HIPAA-regulations, and agrees to abide by the same rules and regulations covering electronic Protected Health Information (ePHI). Caspio was one of the first cloud providers to offer its platform-as-a-service in a HIPAA-compliant version. Caspio HIPAA Enterprise has allowed healthcare providers and health plans – and their business associates – to develop their own custom applications to improve efficiency, cut costs and raise the standard of patient care. 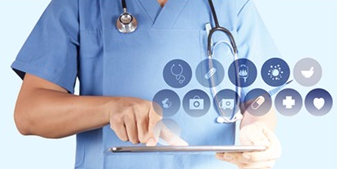 Large healthcare providers with the resources to employ in-house cloud developers have been able to use the Caspio platform to develop a wide range of mobile and cloud-based applications. Applications have been used to schedule and monitor clinical trials, create online patient portals, manage health insurance exchanges, track medical devices and monitor training and certification. Smaller organizations, or those lacking the resources to develop their own applications, are now being offered a fully outsourced custom app development service. Caspio’s team of consultants can translate an organization’s requirements into efficient, easy to use and simple to manage applications while its dedicated project managers, developers and partners manage the entire development process. In full accordance with HIPAA, Caspio maintains BAAs with all vendors in addition to providing a BAA to all customers and partners. Data is fully encrypted both in transit and storage, the system maintains a full audit trail with access logs stored in a separate environment, upgrades and patches are performed automatically and the entire infrastructure is certified as HIPAA compliant.